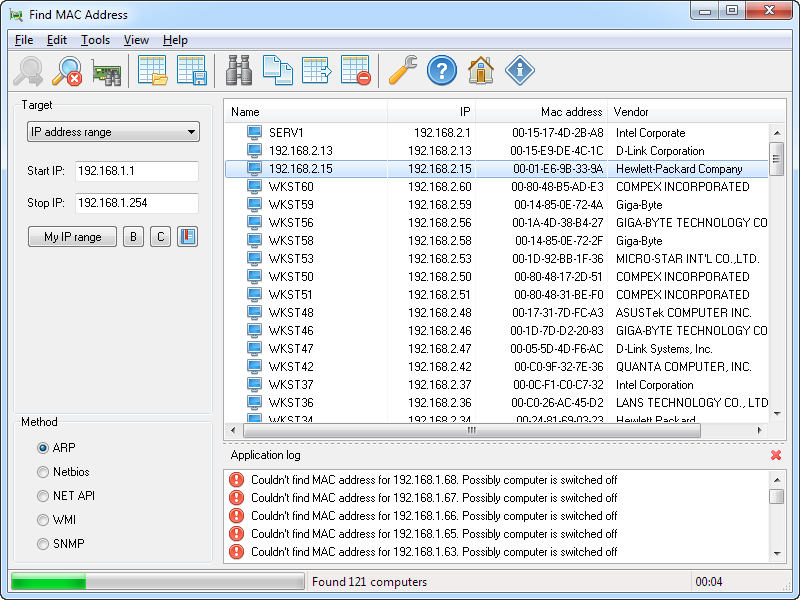 Find MAC Address lets you find the MAC address of your or remote computer and also of any computer within the specified range of IP addresses. Unlike similar software, Find MAC Address can find the MAC addresses of computers using four methods (ARP, NetBios, NetAPI, WMI). The program can not only find the MAC address of a computer, but also detect the manufacturer of its network card. After you select one of the four methods and specify the target, you will get all possible information about the MAC addresses.